It's hard to remember for sure this many years later, but I think Ernie Banks was my first celebrity hero. And while that would have been because he was a great ballplayer at first, other things continued to make him someone I found amazing, and worthy of the word hero: specifically, his positivity - about everything, apparently - was a real inspiration. Over the years, I've heard multiple people who knew him say that his public persona of always being upbeat and having a positive outlook wasn't an act - it was really who he was. I've always found that something to aspire to. Seeing him in an appearance at Wrigley or at some other event covered on TV always brightened my day. 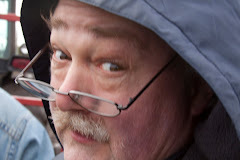 I'll really miss him. ...you can be certain that you're in for a fun two minutes and 48 seconds. And it does not disappoint. Of the flip side, "Dawn", I can think of nothing worthwhile to say whatsoever. Even Lew Tobin didn't want to claim a co-writer credit on this one. By now, almost everyone who planned on being in school for the winter semester has returned to school. So what better time for a light-hearted complaint about Homework? As I wrote a few months ago, the Star-Crest label fascinates me. 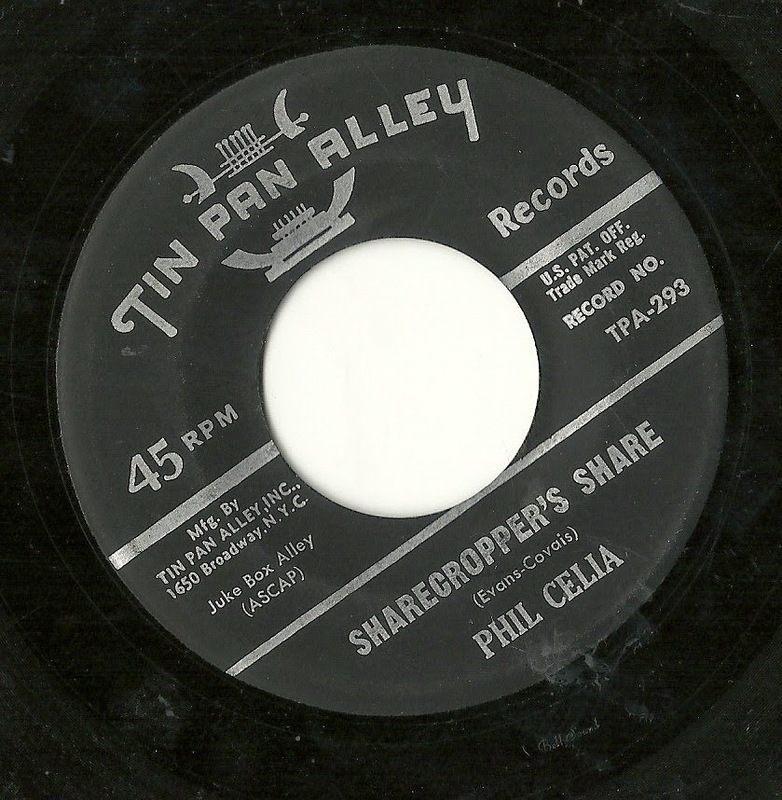 Although their products seem to have started appearing in the early 1960's (the only confirmed date for the label found in the AS/PMA website is 1961), virtually everything I've heard from the good folks at Star-Crest sounds like it was intended for release in the 1930's. 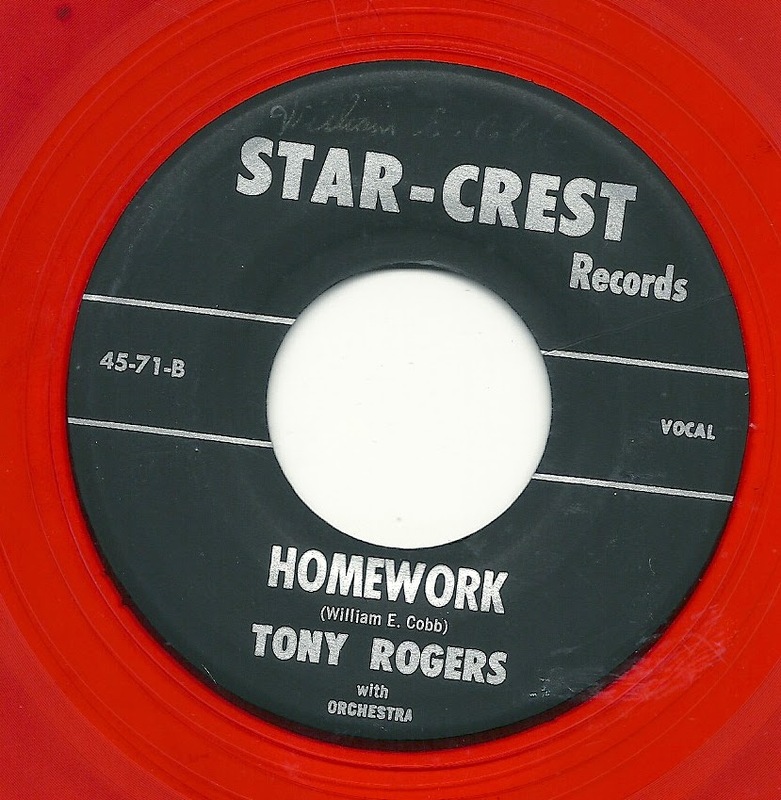 That causes even more of a disconnect than usual with label stalwart Tony Rogers' rendition of "Homework". The lyrics present a typical young man, perhaps in his late teens, complaining of how he won't be showing up on time for his date (where they'll "neck and talk"), because of all the work he's been assigned. When it turns out that he's too late to even go to her door at all (although he also stopped to "take a bath"), he decides to read a good book, only to realize he can't even do that, because, you guessed it, there's more homework to be done. That actually would not a be a bad bit of storytelling for an early '60's novelty pop or teen idol rock and roll record, come to think of it. Gary "U.S." Bonds could have made that work. 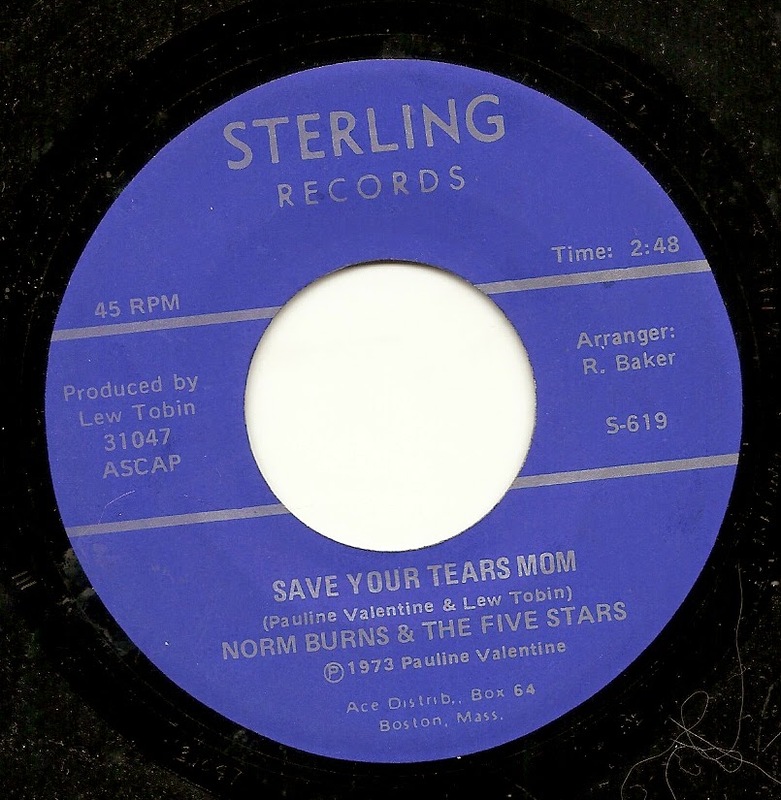 Unfortunately, lyricist William E. Cobb sent his lyrics to Star-Crest, and not Sterling or Lee Hudson, and we end up with a backing, and vocal delivery, that sound straight out of 1933. I wish I could have been there when Mr. Cobb heard the results of the work he'd paid for. Still, for all it's ridiculousness, I pretty much love this record. On the flip side, we hear Mary Marcuso's lament of having been tricked by an untrue lover, one who has now gone on to break yet another lover's heart. The setting again sounds like it was created in the mid-'30's (well, minus the guitar line, anyway) but at least this time, the lyrics and feel are appropriate to that time. It's worth noting that this side of the record is a mere 84 seconds long: last week, I speculated that the total time of that week's 45 (3 minutes, 10 seconds) might be a record. Well, today's two-sider contains music that totals exactly... 3 minutes, 9 seconds!!! 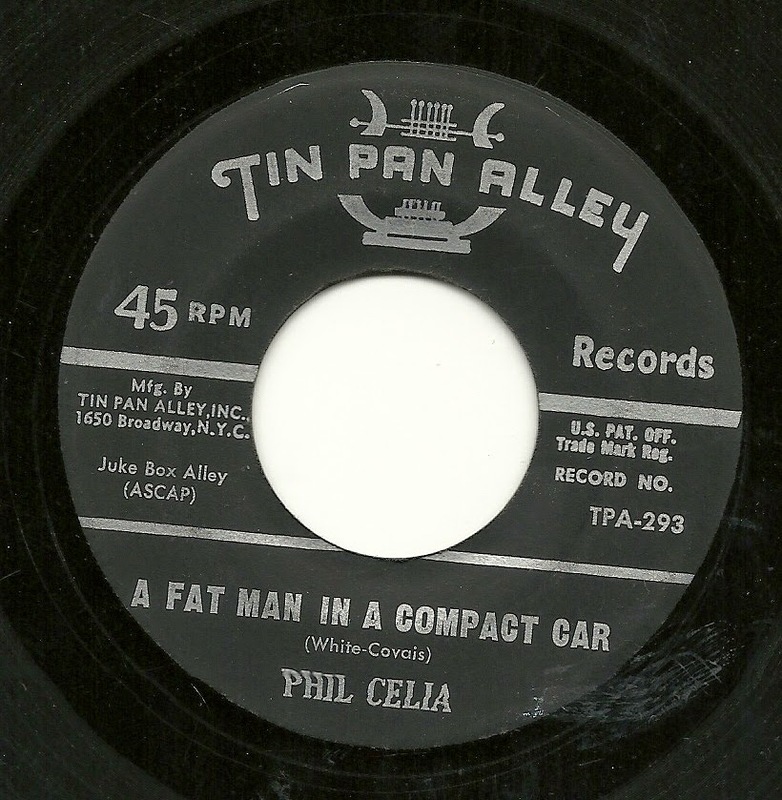 And what better way to kick off the new year than with some of the typical weirdness I've come to expect when I see the artist credit of "Phil Celia" on the old time Tin Pan Alley label. The ending is a spectacular failure - clearly, Phil and the band have two different ideas of how the repetition of the final lines was supposed to work. 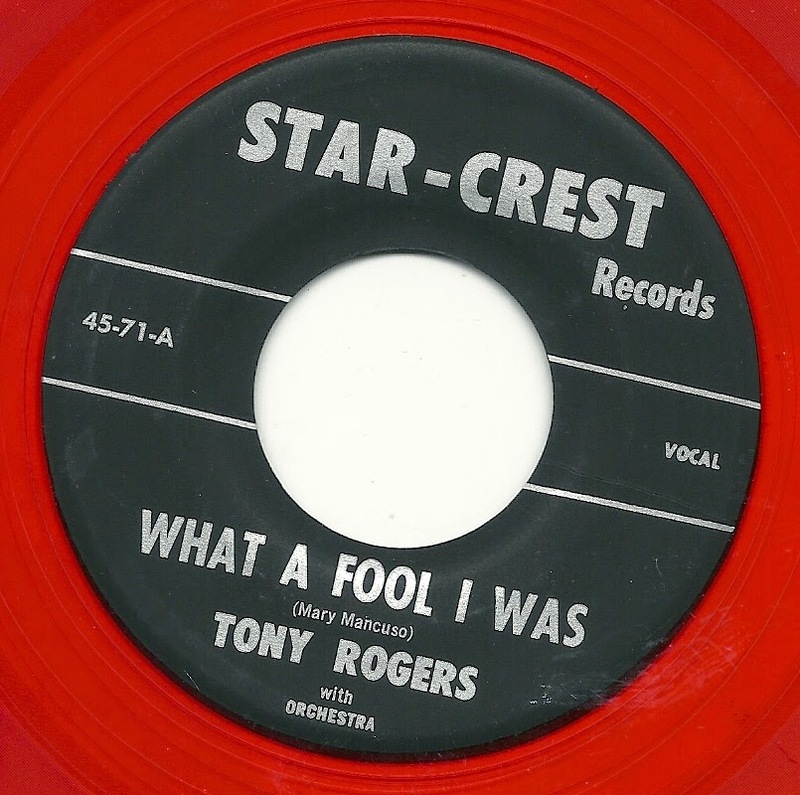 On the flip side, we find one of the shortest song-poems I've ever heard or seen on a 45 RPM single (I think the magnificent Joe Stantan performance of "A Has-Been"﻿ may be shorter, but that was on an EP). 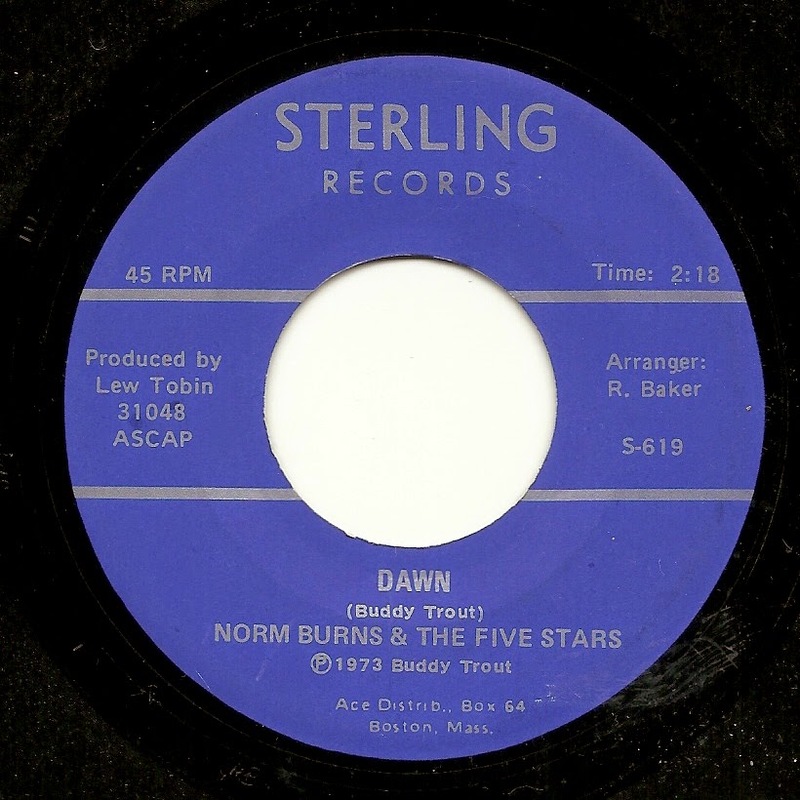 This song, on the other hand, is the only thing on this side of the record, and it runs 75 seconds (the entire 45, including both songs, runs three minutes, ten seconds - I bet that's a record!). We've got the same 6/8 rhythm here, only in a higher key, and definitely a march beat in this case. The lyricist actually squeezed in quite a bit of information (and a moment of casual racism) into his brief creation. And the last three seconds are worth the price of admission!